Present state: The main station building survives in private occupation with few alterations. Part of the platform also survives but the trackbed has been infilled to within one foot of the top of the platform. An overgrown cattle dock can still be seen at the west end of the goods yard together with what appears to be a WW2 Nissen hut. 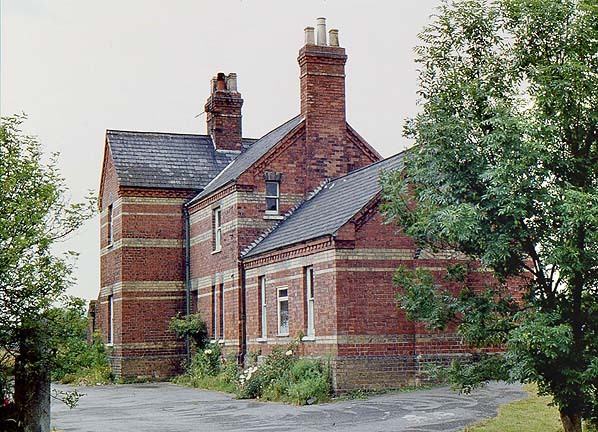 The weigh office at the entrance to the goods yard is also extant. Notes: Grimoldby was similar to other stations on the northern section of the loop comprising a single platform on the down side of the line with a substantial brick building that incorporated the stationmaster's house. 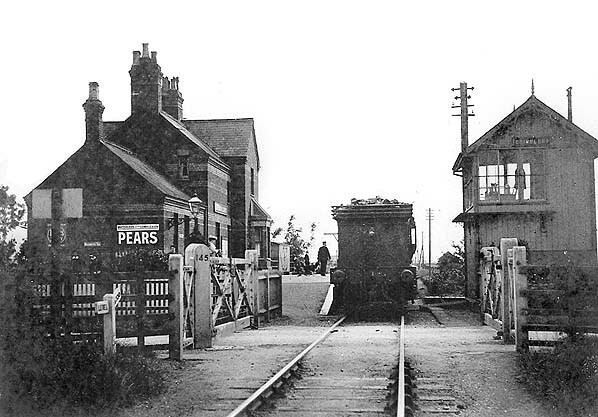 A typical GNR signalbox stood adjacent to the level crossing on the up side, this controlled the crossing and access to the small goods yard. A weighbridge and office stood at the entrance to the yard with cattle pens and a cattle dock at the far end of the yard. There were two short sidings, one serving the cattle dock parallel with the running line, the other to the rear of the platform. What appears to be an overgrown WW2 Nissen hut stands in the goods yard, perhaps used for supplies for the nearby Manby airfield during the war. In the 1950s it was used for the storage if animal feed. Grimoldby station was the childhood home of actor Donald Pleasance, whose father was the Station Master. to allow for a deviation in the route and additional time to complete the single track line. 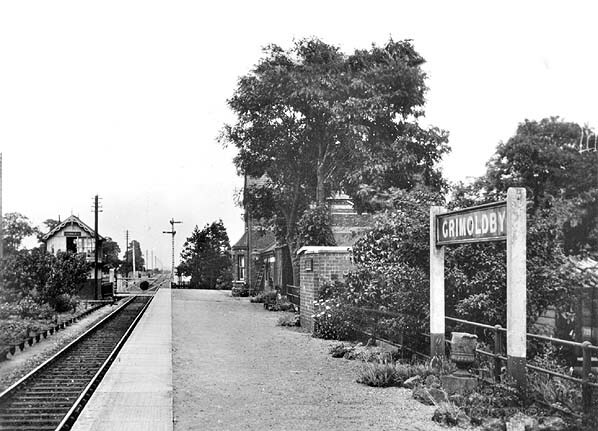 The Louth & East Coast Railway opened on 16th October 1877 with intermediate stations at Grimoldby, Saltfleetby and Theddlethorpe. As well as holiday traffic to Mablethorpe, the line passed through rich grazing land which would also bring additional income to the line with livestock being carried to Louth Cattle Market. 1889 following a dramatic fall in passenger revenue. Since the opening of the Sutton line work on the docks had not been started. In 1891 the Lancashire, Derbyshire and East Coast Railway received parliamentary approval to build a cross country line from Warrington, on the Manchester Ship Canal via the Derbyshire coalfields to Sutton-on-Sea. Construction was rapid and by 1897 the new line had reached Lincoln but then the money ran out ant it got no further. The LD & ECR had planned to take over both the L & ECR and the S & WR but the scheme was scrapped when the Sutton & Willoughby was unable to repay its debts to the Great Northern. Both lines eventually became part of the GNR, the S & WR in 1902 and the L & ECR in 1908.
area. After the war the number of passengers arriving at Mablethorpe increased to a peak of 166,000 in 1936. 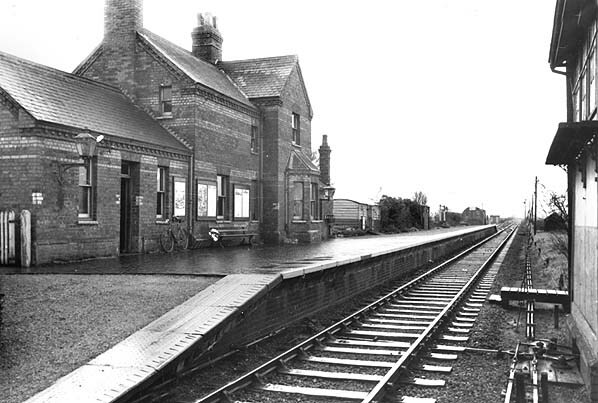 Local passenger traffic included schoolchildren travelling to Louth from Sutton, Mablethorpe, Theddlethorpe, Saltfleetby, Grimoldby and the surrounding villages. Passenger numbers at Mablethorpe were still a respectable 124,000 in 1952 rising to 136,400 in 1959 but the tide was about to turn with the increasing popularity of road transport. By 1959 line between Louth and Mablethorpe which was losing £9,500 a year, passenger and freight traffic was in decline and urgent repairs were required to Mablethorpe Junction at Louth. Despite assurances that the Willoughby - Mablethorpe line would remain open there were local concerns especially from the Urban District Council that within a few years that line two would be earmarked for closure. With the publication of the Beeching report the Council’s concerns were turned into reality in just four years. There had been no attempt to carry out the earlier recommendations “to develop holiday traffic to Mablethorpe and Sutton.” Instead there had been a deliberate “run down” of railway services with a reduction of cheap tickets and the withdrawal of services from time-tables. By the time the public hearing took place BR were able to claim fewer passengers were likely to suffer hardship, because people had been deterred from using the services by the reductions. The Beeching Plan proposed the closure of virtually the whole of East Lincolnshire to railway traffic. Peterborough – Grimsby via Boston, Lincoln – Firsby via Bardney, Willoughby - Mablethorpe and the Skegness branch. The goods service over the Mablethorpe line was withdrawn from 30th March 1964 and opposition to the proposals to withdraw the passenger services was fierce and prolonged; a public inquiry was held in Skegness on 15th and 16th September 1964, the Mablethorpe and Sutton case being made by the Mablethorpe and Sutton Urban District Council. One of the main reasons put forward by the Council for not closing the lines was poor or inadequate roads to the town from the proposed railhead at Boston. The findings of the meeting were submitted to the Minister of Transport who concluded that the British Railways board should re-examine its proposals. This it did and in due course once again proposed closure, this time with the exception of the Skegness line. A second TUCC inquiry was held at Skegness in May 1968 and its decisions were again submitted to the Transport Minister who this time supported the Board’s proposals. regular users of the service during the rest of the year to justify retaining the service. Only the Skegness line would remain open. Closure was announced for 5th October 1970 with the last train running two days earlier. 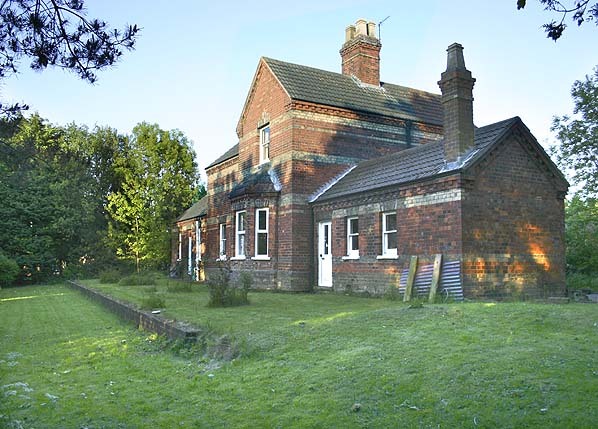 Because of the flat nature of the landscape little of the line remains today apart from the three substantial station buildings between Mablethorpe and Louth.